This is a case which aptly describes the dialogue in the film ''Taare Zameen Par'' which says - 'Jo hai woh nahi hai, jo nahi hai woh hai'! Well, the confusion persists. For the first time, even the core hyderabadis are confused! Having learnt to cook the complex hyderabadi biryani with close to a hundred ingredients and choosing from the pink and white pearls coming from far off and nearby lands, hyderabadis have learnt it all! Students and passerby react strangely when they see a police van with 'Cyberabad Police Station' written on it. This one thing has perplexed quite a few of them. Some people are of the opinion that Hyderabad is no longer twin city but is actually Tricity Cyberabad-Secunderabad-Hyderabad. The question under scrutiny is - Is Cyberabad another town near Hyderabad or is it another name for Hyderabad, an Information Technology city in itself ? Well, before we enter into the nitty and gritty of this entire subject, let it be clarified that Cyberabad is NOT another name for your lovely city Hyderabad. In fact, this is an area in the southwest and west parts of Hyderabad and has grown quite fast since the 1990s. There are many IT and bio-pharmaceutical enterprises here with Hyderabad Airport, Himayath Sagar, Osman Sagar and Kasu Brahmananda Reddy National Park in the vicinity. Cyberabad area actually comprises of Kukatpally, KPHB colony, Madhapur, Gachibowli, Rajendranagar, Miyapur etc. This entire area is akin to cyber city as it serves as a global hub of Information Technology. Another such IT township in Hyderabad is the HITEC city where myriad multinational and well known IT organizations have set up their offices. 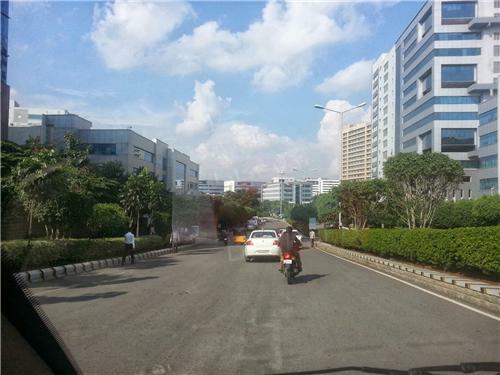 So, Cyberabad is a popular term bestowed to this specific area dedicated to IT (Cyber) companies. So, folks! much to your solace, your beautiful 'Twin city' remains the same - Hyderabad-Secunderabad! Yes, for the talented and skilled IT professionals, Cyberabad brings with it a plethora of opportunities in their chosen field of specialization. The comrades that Hyderabad-Secunderabad are for years together will continue forever and their historical saga will always remain fresh and interesting just like the irresistible aroma of hyderabadi biryani! 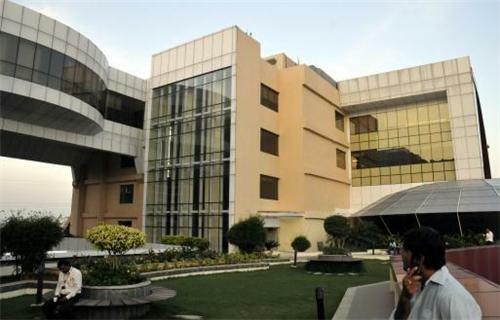 Infocity Cyberabad comes as a compliment to Hyderabad and is adding more feathers to its cap as far as setting up of IT industries and offices is concerned. It is supplementing the economy of Hyderabad and providing much needed employment opportunities and infrastructural growth for denizens of Hyderabad and Secunderabad. It is much a part of Hyderabad specializing in IT and bio-pharmaceutical companies. Cyberabad shines like a jewel, growing fast and providing much space and respite from the already growing population in the main city Hyderabad. i live in hyderabad and i have to come to cyberabad for a interview in the next week. can you suggest me how can i reach there from hyderabad? Cyberabad area actually comprises of Kukatpally, KPHB colony, Madhapur, Gachibowli, Rajendranagar, Miyapur etc. Do let us know where exactly you wish to go. It will help us to guide you.